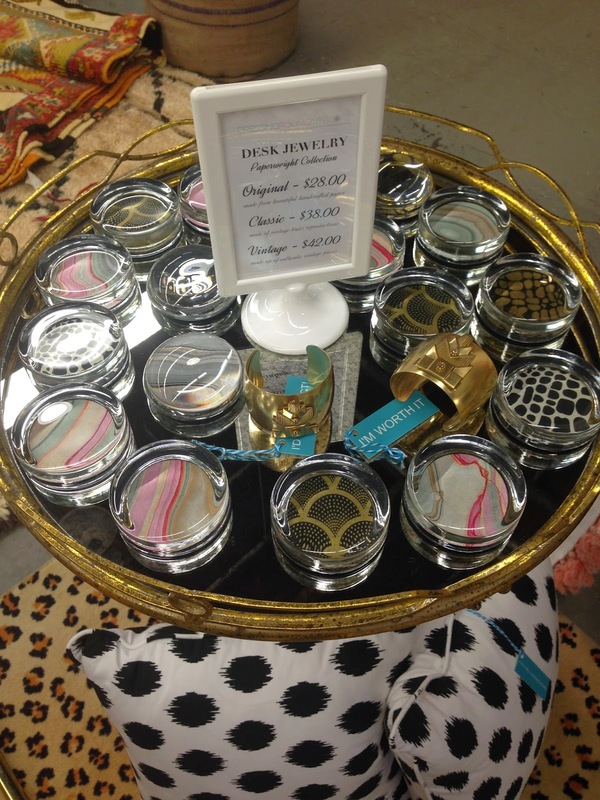 Dwell by Cheryl: "Weekend Recap and a Cool Plant Product"
For those of you who follow me on Instagram, Twitter and/or Facebook, this may be a bit of a repeat for you, but I thought I'd start off the week with a little weekend recap. I had a chance to stop by the Elle & Bae Pop Up Shop preview on Friday night at Post & Gray in Charlotte. I blogged about last year's event HERE. Elle and Bae host regular pop-up events featuring high-end vintage furniture, home décor, art and accessories curated by local vendors and created by local artisans. 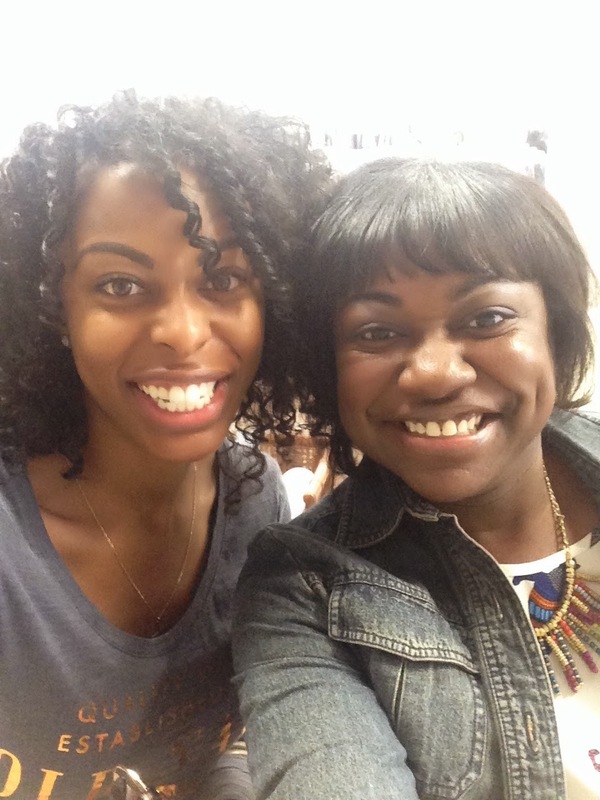 Kim (Elle) and Ariene (Bae) are super stylish ladies who put together the entire event. Great to get a chance to see them. My friend and classmate Marisa joined me for the event. Ariene handcrafts these awesome paperweights. I couldn't leave without one. It'll be the perfect desk jewelry for my home office turned studio (when I get around to that project). Loved everything at Kim's booth. That lingerie chest is to die for! 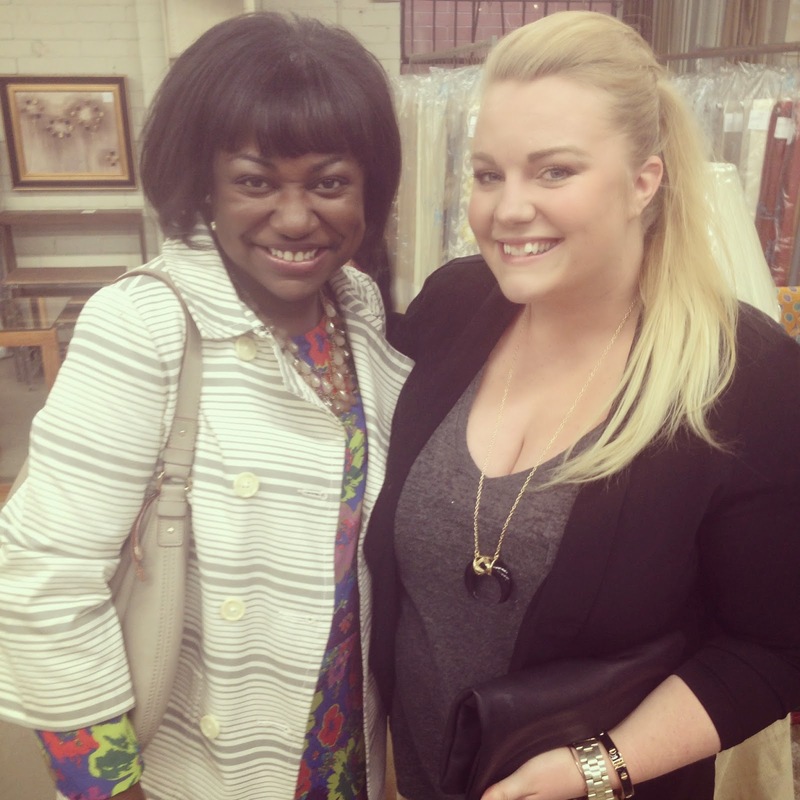 I also ran into Shannon (Burlap & Lace) at the event. 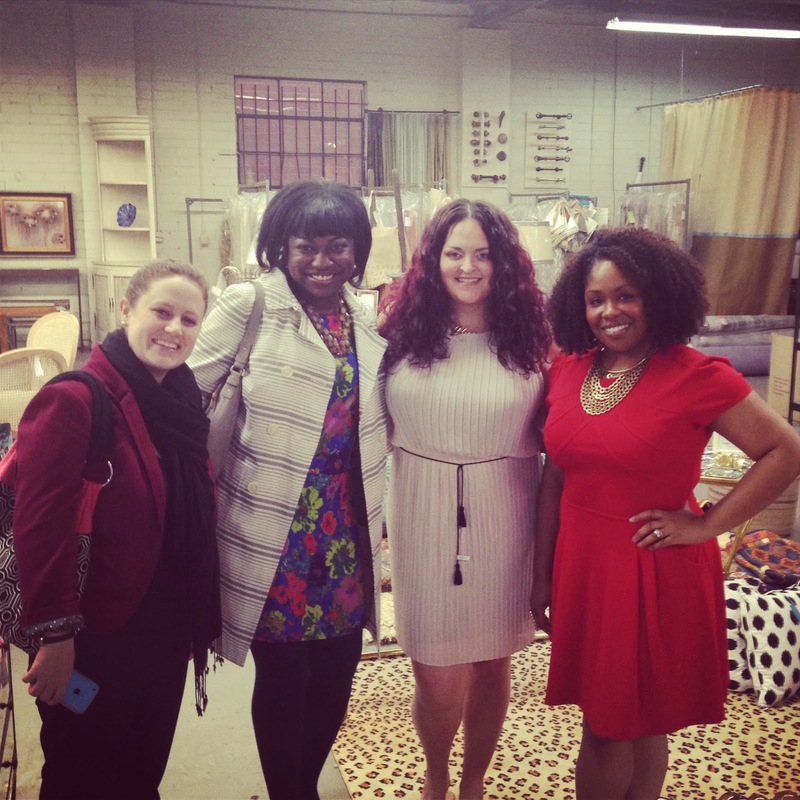 I love my social media friends and fellow Charlotte design bloggers. 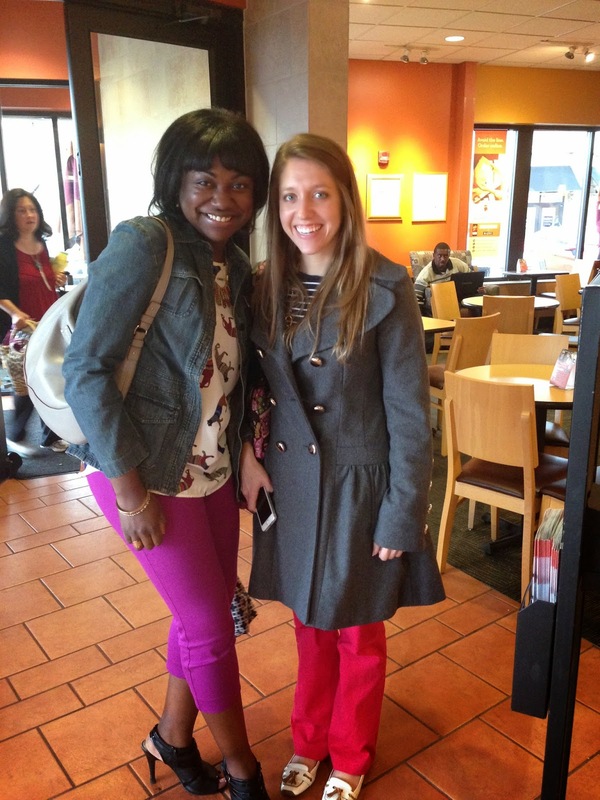 Saturday began with a casual lunch with my girl Jennifer (Pure & Simple Organizing) and then I headed out to pick up last minute items for this weekend's install. 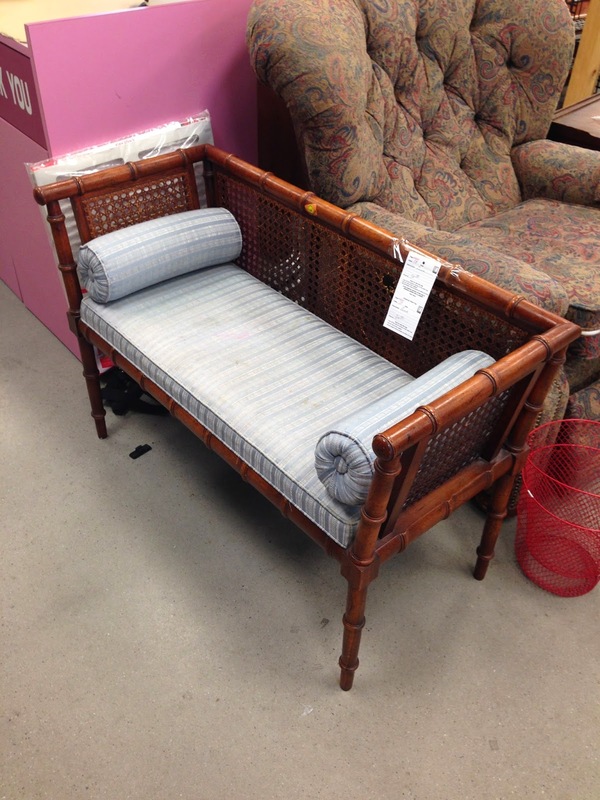 I made a bee line to this faux bamboo bench at the Goodwill, but unfortunately it had a hole in the cane. Shucks! It so would've been going home with me. 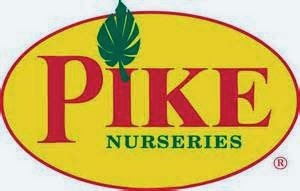 I left Goodwill bound for Pike's Nursery. 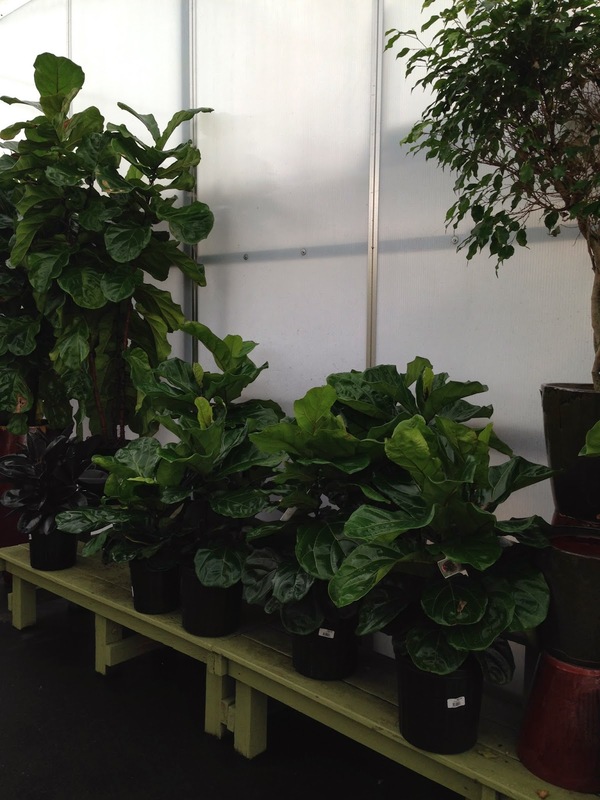 I'd heard that they had a great assortment of Fiddle Leaf Fig plants. Wondering what that is? I blogged about them HERE. My client has requested that I incorporate plants into my design and I'm happy to oblige. It's not often than people want live greenery in their homes, but I think they add so much to a space, not to mention they're great for the indoor air quality. Apparently I heard right because the Fiddle Leaf Figs were out of this world. Wow! The selection was unreal! 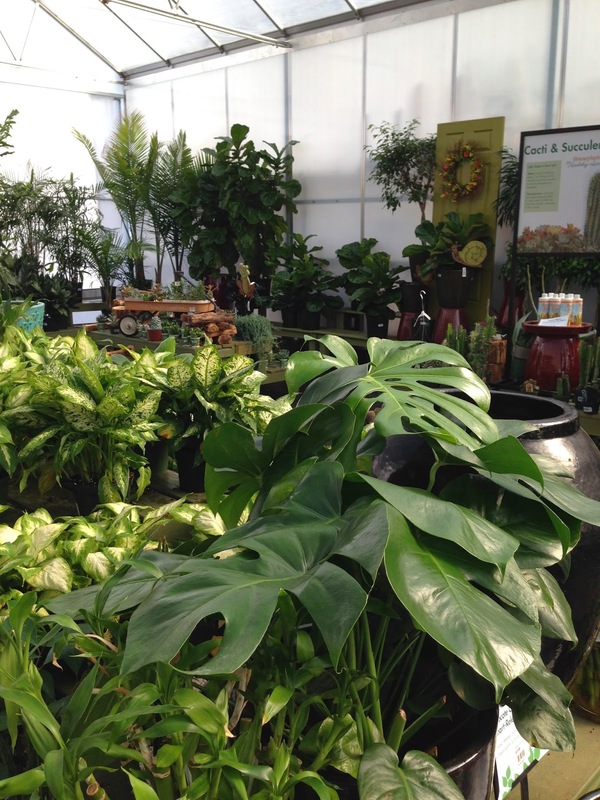 It was like being in houseplant heaven. I couldn't help but notice how so many of the plants had this unbelievable sheen. I inquired and I was led to a product call Leafshine. 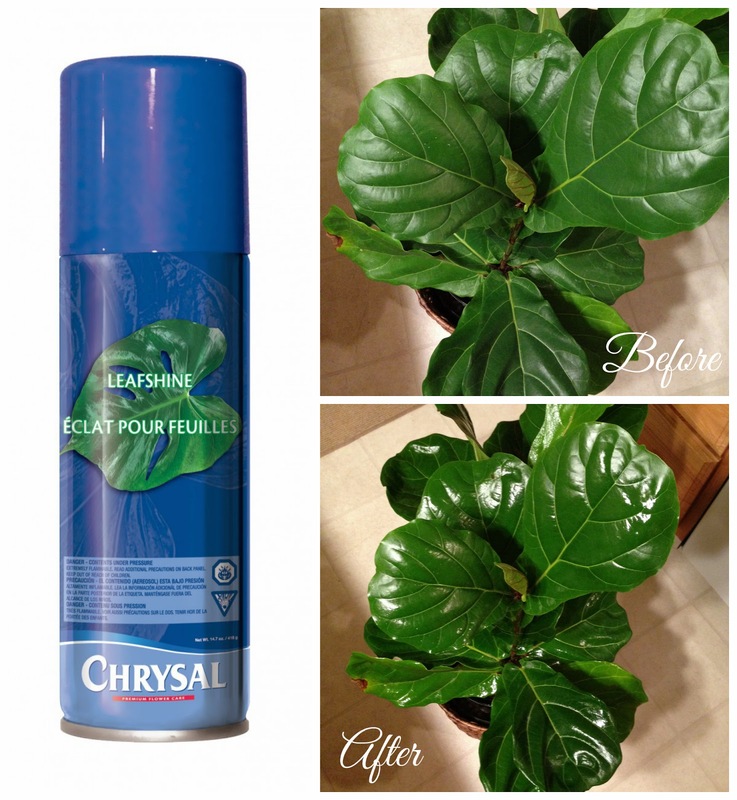 According to the Chrysal website, "Leafshine adds an instant natural gloss to leaves of plants and cut foliage in floral bouquets. It removes water spots and calcium deposits and it gives a protective shiny layer which keeps dust away. Furthermore, the evaporation of water is reduced, which will prolong the lifetime of plants and cut foliage. 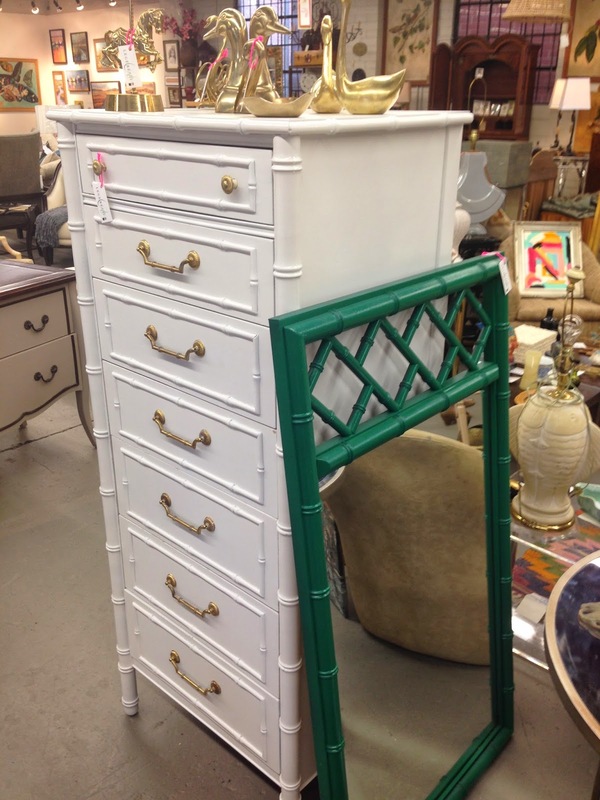 It is a ready to use spray and dries quickly." I picked up a can and couldn't wait to try it out. Big difference right? Not that my plant looked bad in the first place, but it took my Home Depot Fiddle Leaf to a whole new level! I think I sprayed everything in my house with a leaf. Lol! The gleam just makes the plant look so much healthier. What a fabulous day!!! Great find on that product, I'll have to find it and try it out! Love that you got to see Shannon!